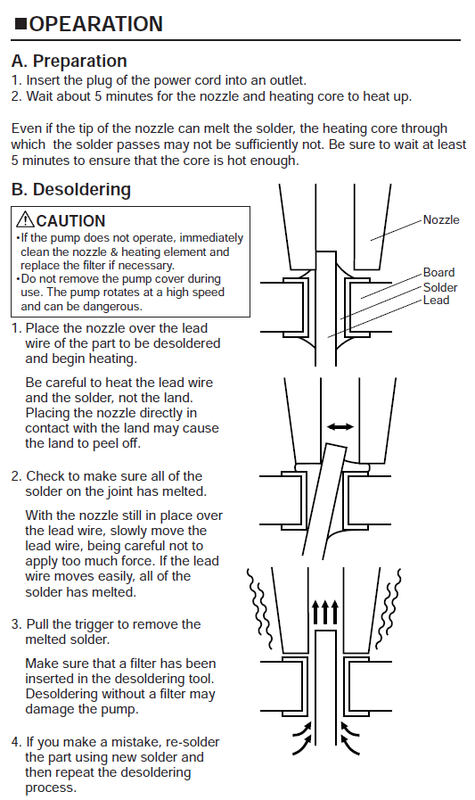 As you can see desoldering something is really easy, and you get a really-really clean result with this tool. – clean your tool regularly. The most replaced items are the ceramic filters so stock up on those, when they harden from the flux it's time to replace them. Overall Hakko 808 is great tool , worth every penny, and I would buy it again if it breaks, speaking of which it is nicely build and has spare parts available so self-repair is possible and even encouraged and explained in the manual. Hakko A1229: Hakko Replacement Pre-Filters for 808-5, 10/pkg. Thanks for the review and video! We’ve just ordered one of these to replace our very inferior desoldering unit. Looks like it will make our lives a lot easier.